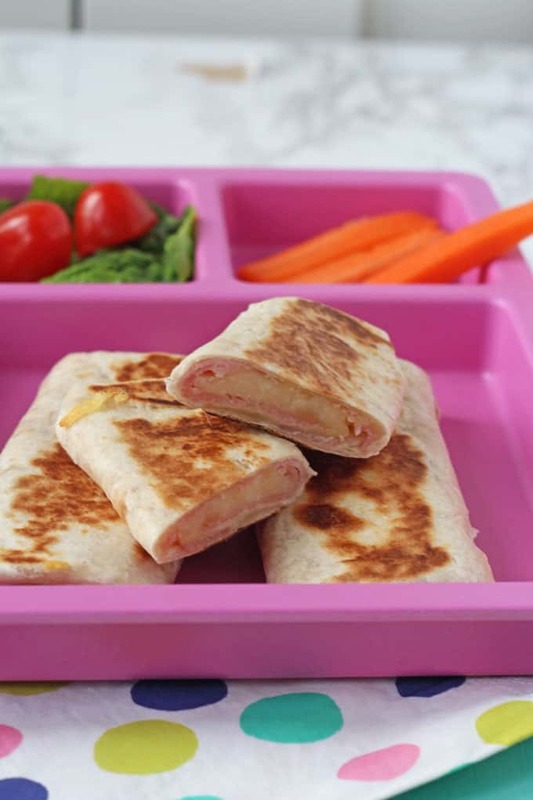 These Ham & Cheese Wraps and folded up like mini burritos and dry fried quickly to make them melting on the inside but soft and warm on the outside. 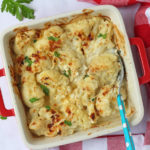 So delicious and perfect for lunch at home or a packed lunch at school! Happy New Year! Is anyone else struggling to get back into the swing of meal prepping after the Christmas chaos? Yeah me too! Our eating habits have been all over the place the past couple of weeks but I’m slowly trying to get back to preparing three good meals a day. For some reason we seemed to have an abundance of flour wraps in the fridge (yep I keep my wraps in the fridge – it makes them last longer!). They were a little dry but rather than throw them away I decided to cut them up and make some mini ham and cheese wraps which I then dry fried on the hob. This gives a lovely melty middle to the wraps, whilst the outside gets warm and soft and a little crispy in parts. Delicious! I’ve added some step-by-step photos below to show exactly how I made the wraps. 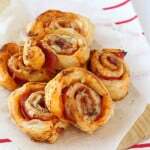 It might sound complicated but they are super easy to make. 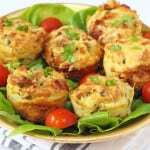 You can also add other fillings such as tuna mayo, chicken mayo, etc. So many tasty options! 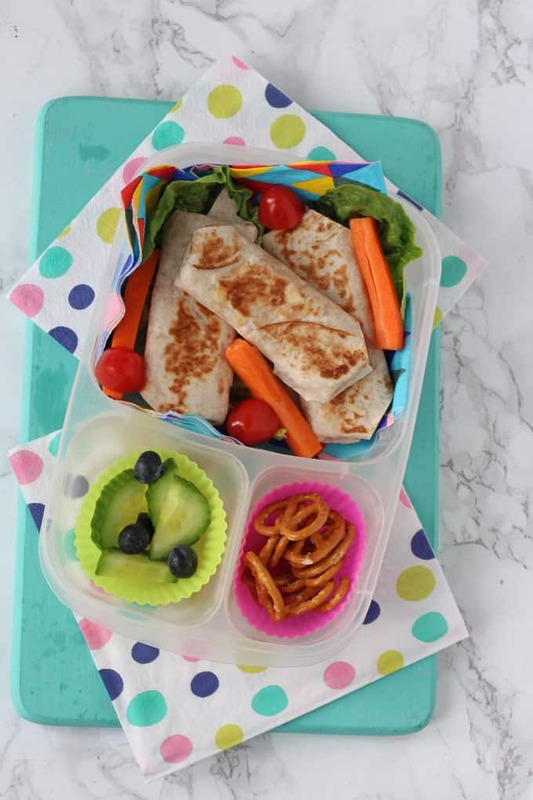 These mini wraps are delicious served warm but they can also be cooled and added to lunch boxes for school, work or picnics in the park. Lunch Box – I really like these bento style lunch boxes. They’re perfect for keeping different components of your child’s lunch separate and they wash really well too. Bamboo Plate – I love this bamboo plate my friend Grace sent to me from her online shop. 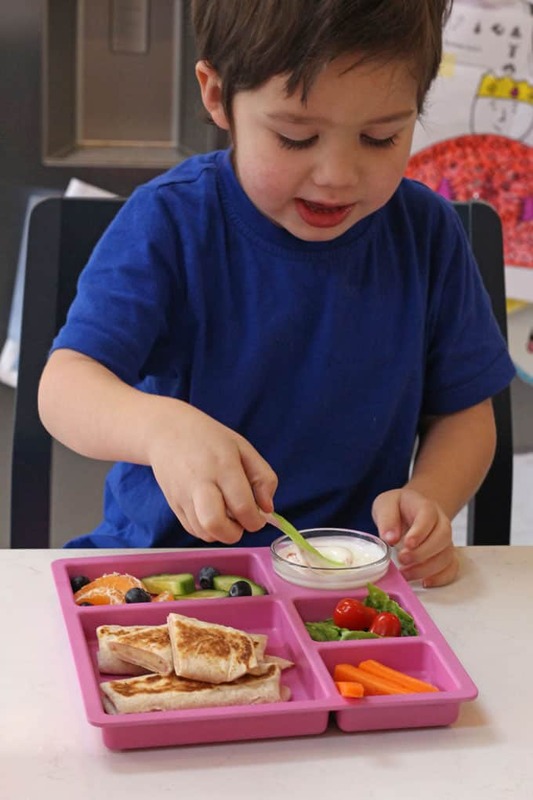 Again it allows you divide your child’s meals into different compartments and is perfect if you are looking for a non-plastic plate for kids. 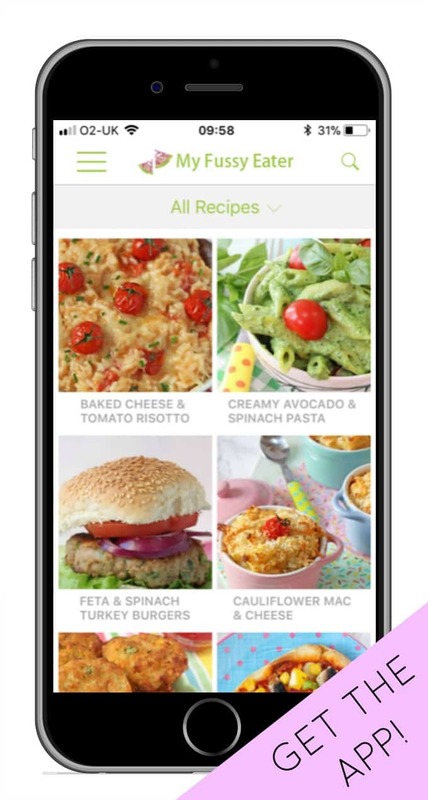 SIGN UP TO MY FREE WEEKLY NEWSLETTER TO GET BRAND NEW RECIPES DIRECT TO YOUR INBOX! These Ham & Cheese Wraps and folded up like mini burritos and dry fried quickly to make them melting on the inside but crispy on the outside. 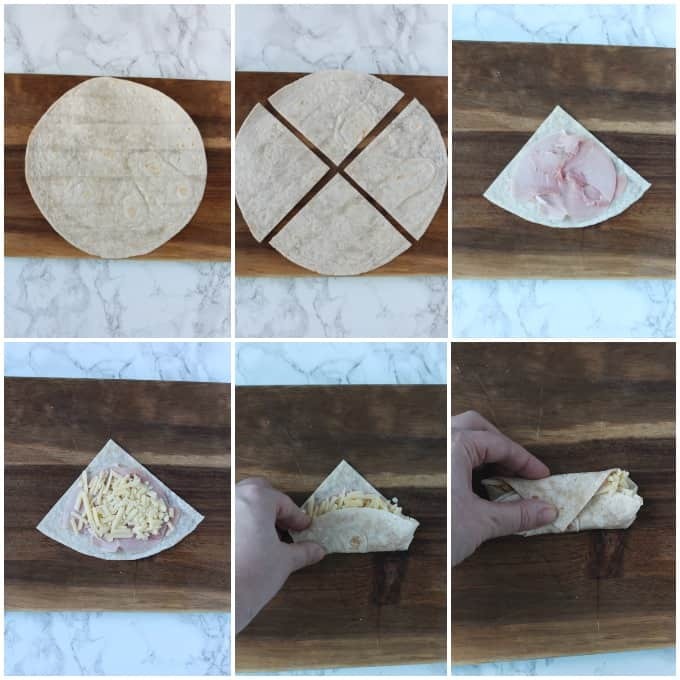 Cut the tortilla in half and then half again, giving you four triangles. Lay one triangle on a cutting board with the flat end nearest you and the point of the triangle facing up (see picture). Lay some ham onto the tortilla and top it with some cheese. Fold in the two outside edges of the triangle and then fold the bottom of the triangle up. Fold the top of the triangle down and press down firmly to help hold it all together. Place the wrap directly onto a frying (no oil or butter needed) folded side down. Repeat with the remaining three wraps. Fry the wraps on a medium heat for approximately 1 minute on either side until golden brown. 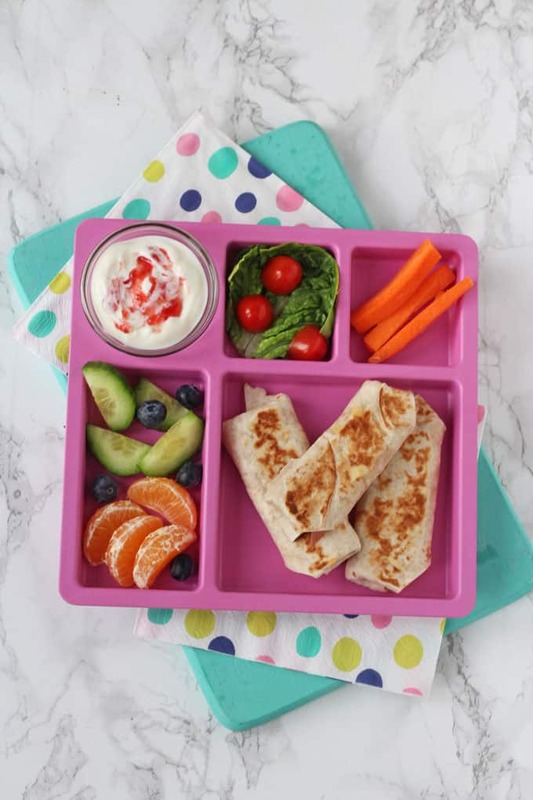 Serve immediately or allow to cool and add to lunch boxes. « Keep Calm & Cook Smart this Christmas! We had these for tea tonight with homemade chips and salad. Perfect for the hot weather and quick so prepare! So tasty and will definitely be having again. Ciara, where do you buy all of these lovely lunchbox dividers? Trying to get some for my daughter for when she starts school but can’t seem to find any nice ones? 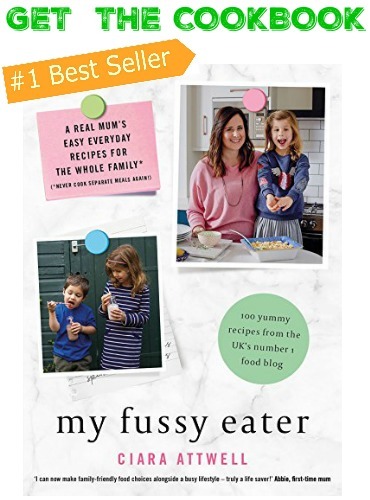 The lunchboxes are from Amazon https://www.amazon.co.uk/Multi-Coloured-Eco-Friendly-3-Compartment-Daisy-Homeware/dp/B01F7FUQOW/ref=sr_1_3?ie=UTF8&qid=1530350476&sr=8-3&keywords=easy+lunch+box and then I use silicone muffins cases to put in them! Thanks for the inspiration. So difficult to think of finger food ideas for my 10 month old when were out and about. Will defo be a future staple!! I keep my wraps in the fridge too! I thought I was the only one! 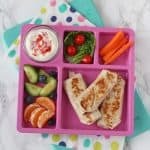 My daughter loves these melty wraps and it makes such an easy teatime idea when I don’t have anything pre-prepared. I make these all the time now. 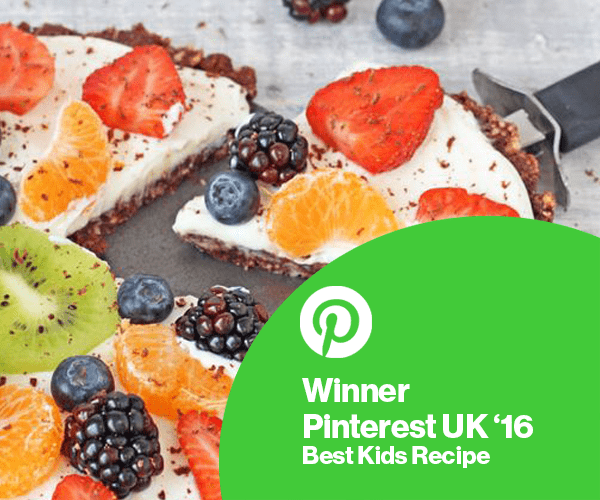 Love the recipe Ciara!